New Jack Daniel's Classic Logo Mens T-Shirt Crew Neck Casual Short Sleeve Top. Old No.7 Brand Logo, Classic Design. 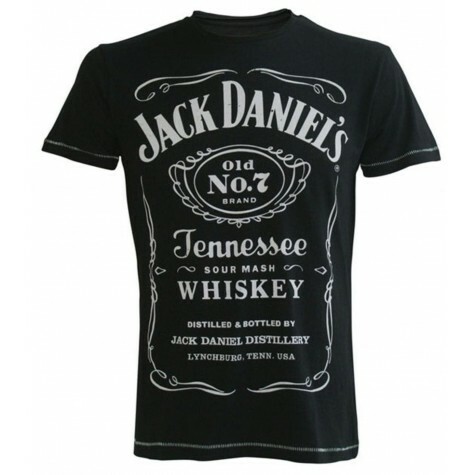 Men?s t-shirt - Short sleeves - Colour: black - Size: extra extra large - Classic design - Jack Daniel?s Old No.7 Brand logo in white text - Includes white text Tennessee Sour Mash - Includes white text Distilled & Bottled By Jack Daniel Distillery Lynchburg, Tenn. USA.